The beard has always been an extension of a man’s personality and the way to make a first impression with most everyone you meet. The beard will give someone an idea of what kind of person you are. The beard can have various styles, shapes, and lengths. Once you are satisfied with the specific type of beard you have, the next step is ensuring you are keeping it healthy. You can keep your beard healthy with beard soap. Beard soap offers many different benefits for the overall care of your beard. The first reason for using beard soap is it is specially formulated to clean it better than regular body soap. Beard soap will work its way through a thick beard to get all the dirt, grim, food, and sweat out of the beard. When using beard soap as directed, it will help maintain its appearance, feel, and smell. 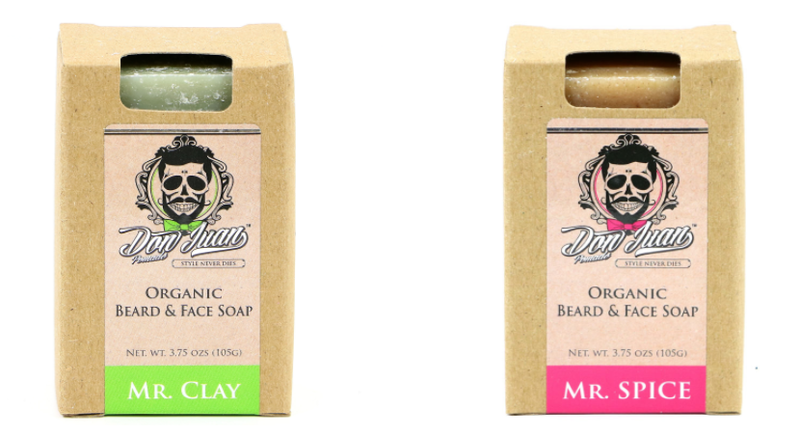 Another great reason for using a soap specifically for cleaning beards is it will help with your overall health. If you continue to use a soap that is not cleaning your beard properly, this could lead to serious health conditions of the skin. Your pores could get clogged, causing ingrown hair follicles, which could become seriously infected. Other serious skin infections could occur if your beard is not free of dirt on a regular basis. Generally, a man’s beard has a different texture, feel, and is thicker than any other type of hair on the body. Beard soap is specifically formulated to clean the thicker hair on a man’s face. Using the beard soap on a regular basis will help assist the beard with growing without worry of any health issues of the skin. This specific soap will also help with grooming the beard without having to risk trimming or shaving it off. If you use bar soap for the body, you run a greater risk of losing your beard. Overall beard soap has many benefits to offer. You can find beard soap in different forms, such as bar or bottle.